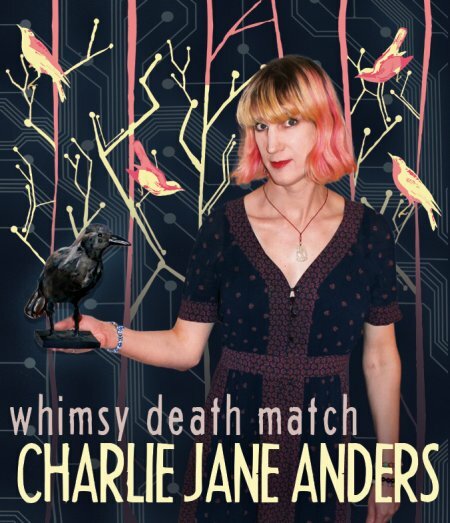 Charlie Jane Anders was born in Connecticut and grew up in the small town of Mansfield. She went to Cambridge University in England, studying English and Asian literature, and spent time studying abroad in China. She has lived in Hong Kong, Boston, and other places, and currently resides in San Francisco. Anders began publishing SF with ‘‘Fertility’’ (1999) and has published over 100 stories since then in various genres, including Hugo Award winner ‘‘Six Months Three Days’’ (2011), also a Sturgeon and Nebula Award finalist. Her short SF has appeared in Asimov’s, Tor.com, F&SF, Tin House, and other venues. Debut novel Choir Boy (2005) won a Lambda Literary Award. Her first novel-length work of SF is science fantasy All the Birds in the Sky, out this month from Tor. Anders is also a journalist, an editor, and an emcee. Her first book was non-fiction The Lazy Crossdresser (2002). 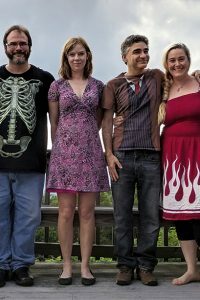 She organizes and hosts the eclectic Writers with Drinks reading series, founded in 2001. With partner Annalee Newitz she ran Other magazine for five years, beginning in 2002; they also co-edited the anthology She’s Such a Geek: Women Write About Science, Technology, and Other Nerdy Stuff (2006). She was one of the original contributors to SF wesbite io9 and is now its editor-in-chief; she was honored with an Emperor Norton award for her work with Writers with Drinks and io9 in 2009. Her articles and essays have appeared in Mother Jones, Salon, McSweeney’s, and The Wall Street Journal, among other venues. ‘‘What I was consciously thinking about as I was writing and revising All The Birds in the Sky was this narrative about finding where you be­long in the world, and coming of age – the notion that we define ourselves through others, and we try to find people we belong with and can commu­nicate with. When they’re in junior high school, Laurence doesn’t know any other mad scientists, and Patricia has never met any other witches. She’s completely isolated. They’re like, ‘If I can only find people like my­self, I’ll be understood, and things will be perfect.’ Then we skip ahead to a time when they’ve found people like themselves, but it’s not great, and not perfect. There’s a whole other set of problems that comes with that. The people who are allegedly like you have a whole set of expectations they put on you, and they’re not necessarily connected to the person you want to be. 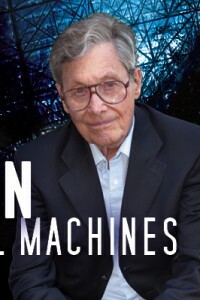 ‘‘My editor Patrick Nielsen Hayden is very fond of saying mine is the first book that’s science fiction and fantasy, as opposed to science fiction or fantasy. It’s a genre hybrid. Whether that’s true depends on how you look at the presence of magic: if any magic at all makes a book fantasy, mine’s not the first. I guess it’s slipstream or something. It has some liter­ary aspirations as well. I had this tone in my head that was like Vonnegut, or Douglas Adams, but with seriousness. The book gets pretty dark and bleak in parts. It is about growing up. There’s the coming-of-age narrative, and once you’ve come of age, there’s more growing up from there. Read the complete interview in the January 2016 issue of Locus Magazine. Interview design by Francesca Myman. 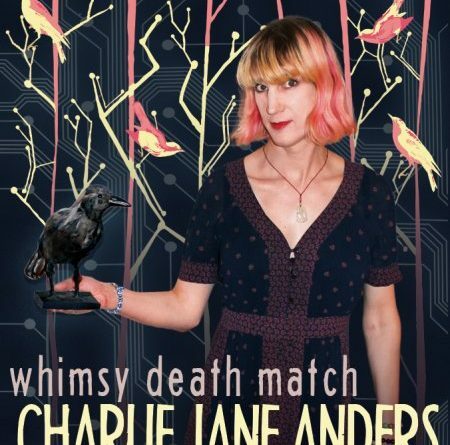 Why would Charlie Jane Anders think Vonnegut and Adams weren’t serious? It seems to me that’s like thinking Jane Austen was twee.